The experience and results of the community work carried out in the Mexico City’s Center by the Historic Center of Mexico City Foundation has allowed replicating some of the social construction and integration models in a group neighborhoods known as ‘Las Pensile’ , in the Miguel Hidalgo Delegation, Mexico City. 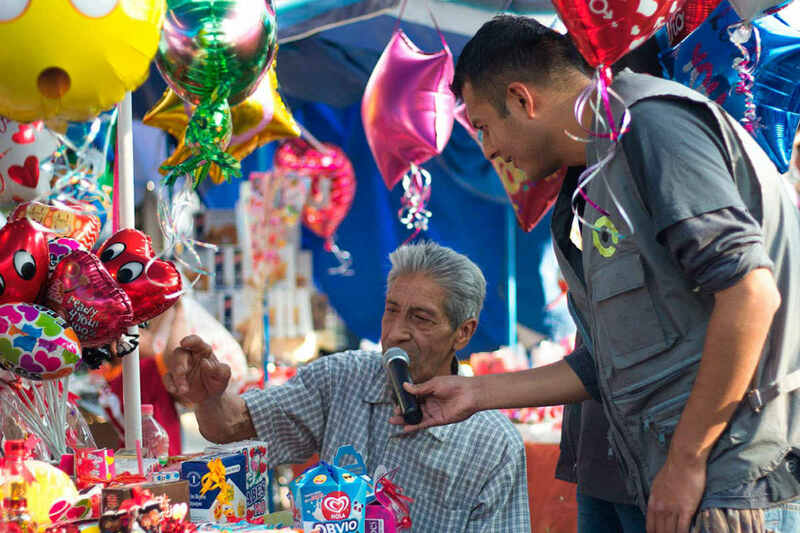 In February 2018, they launched a community radio proposal called Radio Bocina Pensil, which aims to narrate the stories these neighborhoods and record their historical memory: one that is not recorded in books, documentaries or films. It is an unconventional radio because it does not currently have a frequency in the radio-electric space, and nor a programmed internet transmission. Instead, it takes place in the public space and is built from the participation and the appropriation of the neighbors. Radio Bocina Pensil does not aspire to be the only radio in the area, but to transmit to the community the sense of belonging, the recognition for the memory of the place; which is not only one, but lived in multiple ways. To have not only one, but several community radios is one of the reasons for the project. Radio Bocina Pensil is a starting point for dialogue and community organization. Although it is a radio that was born as a proposal of an institution such as Historic Center of Mexico City Foundation, the process of creating the radio has the collaboration as its main axis. Consistent with its conviction that social problems must be addressed with business strategies, that is: recognizing a problem, raising solutions and then providing the necessary resources for them, the Economic Development program of the Carlos Slim Foundation promotes activities that generate employment and strengthen the social fabric, actively including people and social groups in development processes.